We cannot thank you enough for your continued generosity, consideration, and gift of Hope. For those that might be thinking that a large donation is what it takes, please know that any donation is truly helps. No donation is too small!! 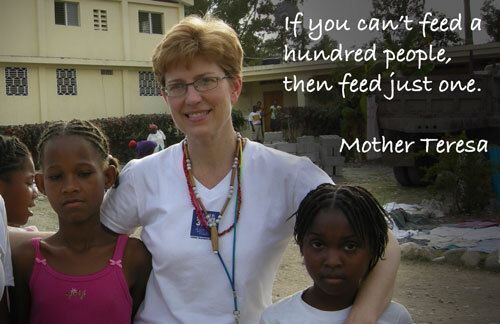 Your gift today will bring hope to children and adults in Hinche, Haiti. On behalf of all of those who will benefit from your kindness and generosity, thank you. Or, better yet, click the button below and do it all on-line! While monetary donations help fund the Hope For Hinche missions, there are many other ways to donate that can significantly help the project. Some examples are medical and/or dental supplies, frequent flyer miles, marketing, distribution, and many other factors. If you are in a position to donate a type of industry or special skill that you are involved in, we are grateful to accept help in any form that is available. Please contact us to coordinate your unique and valuable donation.